This Givenchy necklace has great style and can be worn with anything to any type of occasion. The front comprises 3 large faceted clear paste stones set in claws above silver tone metal plates that have been coated in a light gold glittery substance. 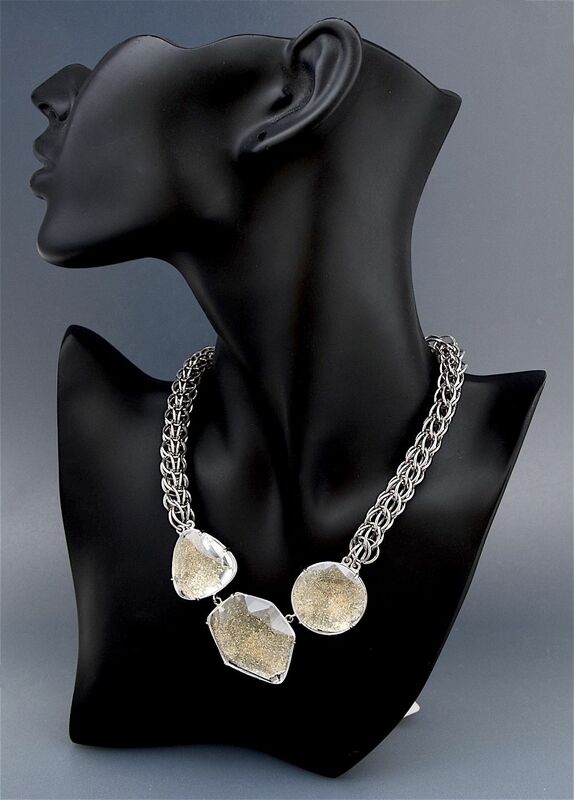 The stones are attached to a thick silver tone inter-woven chain with an adjustable fastener. 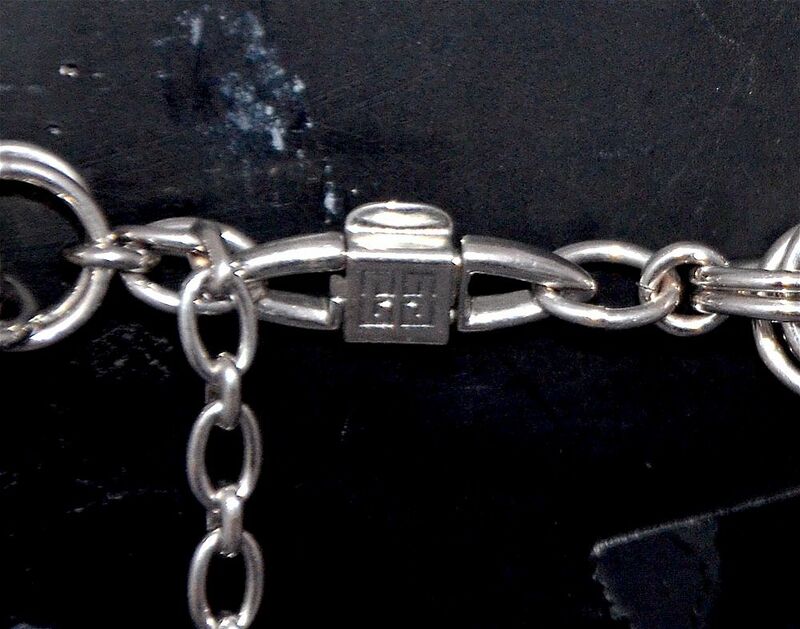 The reverse of the clasp has the Givenchy logo and there is a round disc at the end of the chain that is stamped "Givenchy".